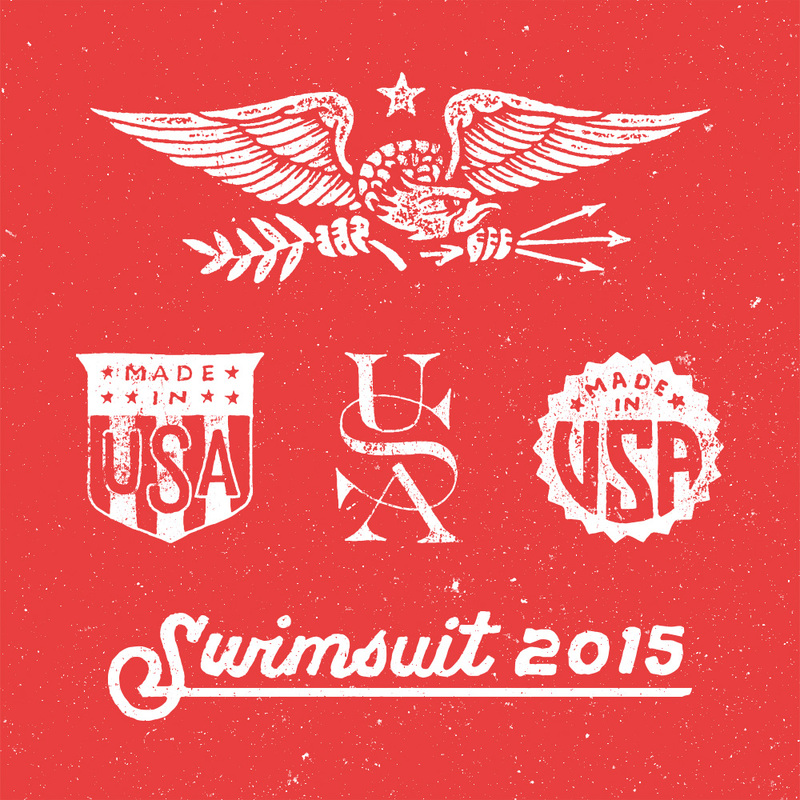 Branding, illustration, and design for the iconic Swimsuit Issue of 2015. Reaching over 70 million people on multiple media platforms, this issue marks the largest Swimsuit edition of all time, as well as the largest marketing campaign in Sports Illustrated’s remarkable history. Swimsuit 2015 rests on a foundation of beautiful women, beautiful imagery and, of course, beautiful places. In this issue, iconic destinations of the United States are explored and highlighted as the pages take you on a road trip across America. How do you raise excitement for a product that is already at the pinnacle of interest? 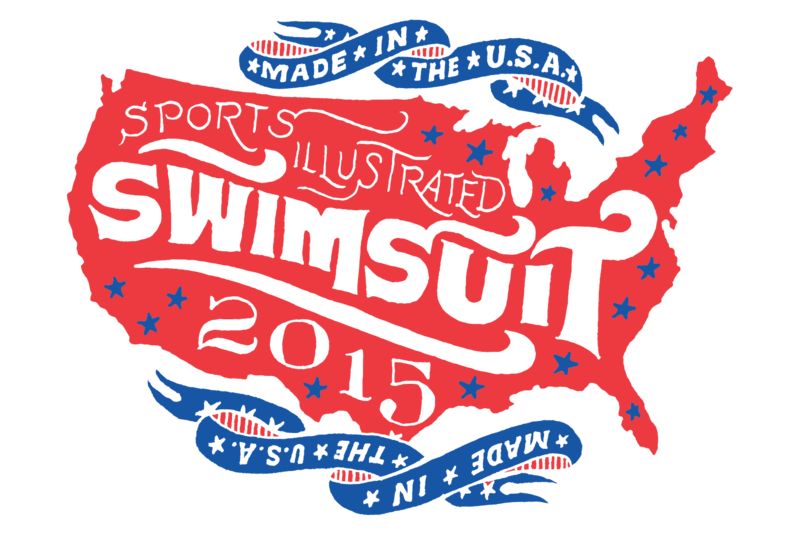 That was the question we ran into while designing the marketing materials for the launch of Swimsuit 2015. 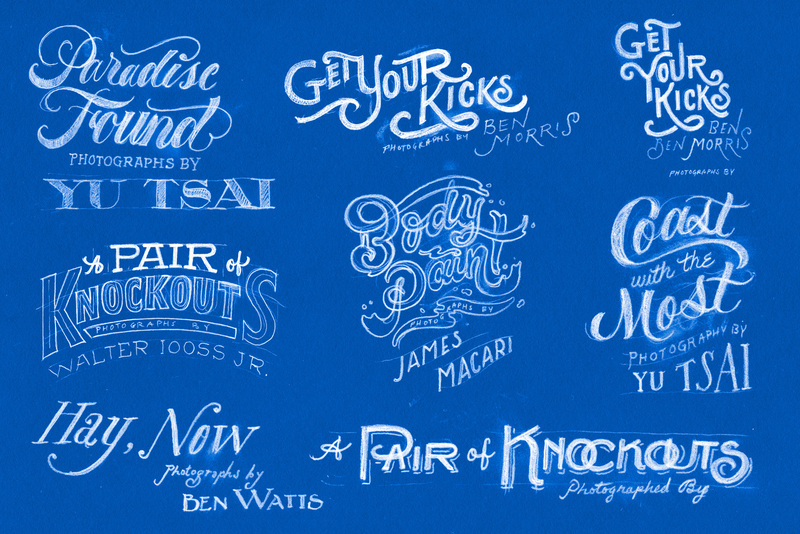 In collaboration with art director and Time Inc. Native Studio VP, Chris Hercik, as well as Black Anchor Workshop, CONTINO designed and manufactured hand-sewn chambray pocket bandanas expressly for the issue’s launch. 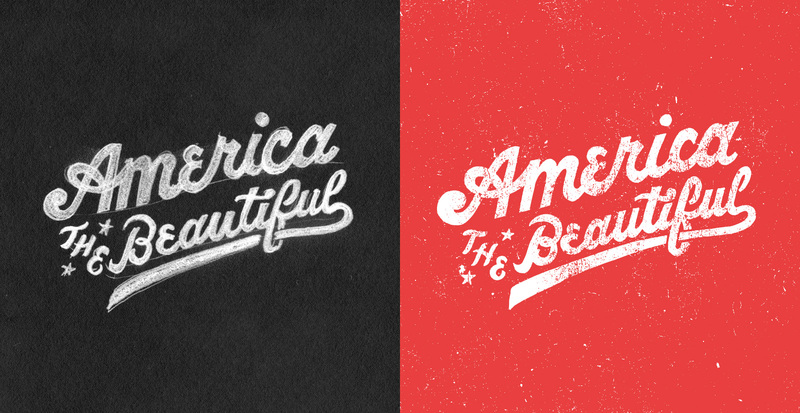 In the spirit of “Made in U.S.A.,” each bandana is hand-sewn and hand-printed in Tacoma, Washington. In collaboration with art director, and Time Inc. Native Studio VP, Chris Hercik as well as Black Anchor Workshop, CONTINO designed and manufactured hand-sewn chambray pocket bandanas expressly for the issue’s launch. 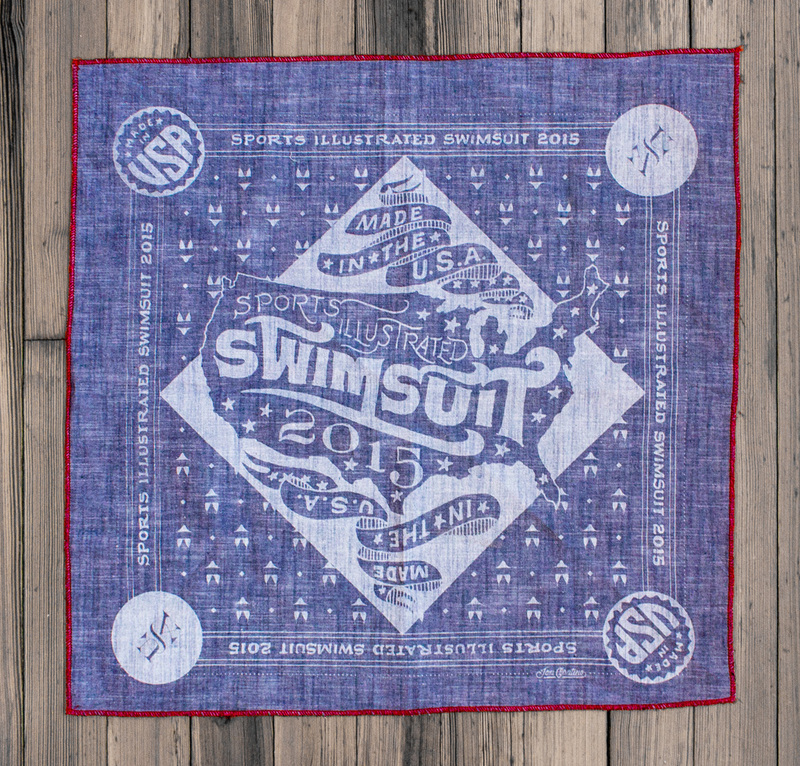 In the spirit of “Made in U.S.A.,” each bandana is hand-sewn and hand-printed in Tacoma, Washington. 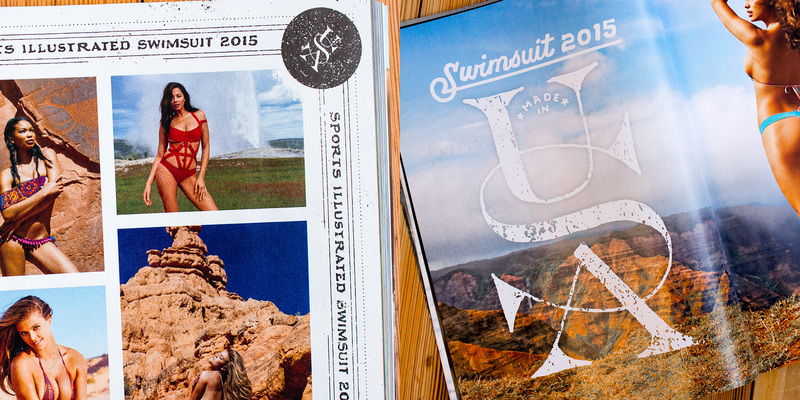 Upon the issue’s launch, our goal was to create a definitive resource for everything Swimsuit 2015. In collaboration with the team at Sports Illustrated, every model, location and theme is carefully documented and archived within the theme of the issue’s deep branding campaign. Icons, illustrations and auxiliary brand marks were created expressly for use online, and the site itself was crafted to feel as if it came right out of the pages of the printed magazine. 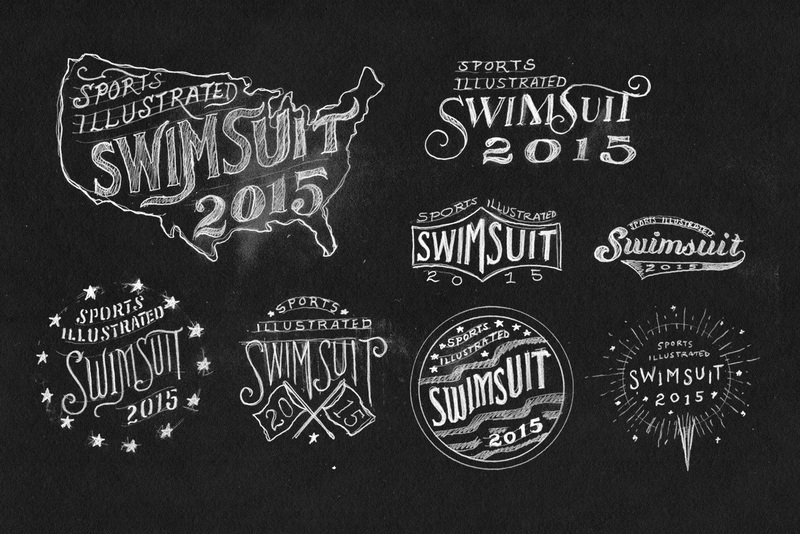 Upon the issue’s launch, our goal was to create a definitive resource for everything Swimsuit 2015. In collaboration with the team at Sports Illustrated, every model, location, and theme is carefully documented and archived within the theme of the issue’s deep branding campaign. Icons, illustrations, and auxiliary brand marks were created expressly for use online, and the site itself was crafted to feel as if it came right out of the pages of the printed magazine. Sports Illustrated hosted its first Swim City festival in New York’s Herald Square to celebrate the release of Swimsuit 2015. The event drew over 30,000 visitors over the course of just two days in blistering cold temperatures. The following day, the celebration headed south to Nashville, where Sports Illustrated hosted the Swimville festival, featuring Kings of Leon as the headlining act. The events were documented heavily by fans and models alike via social networks like Instagram and Twitter. Not only does Swimsuit 2015 mark the largest media campaign in the magazine’s history, but it also demonstrates a bold approach in bringing content to the fans. 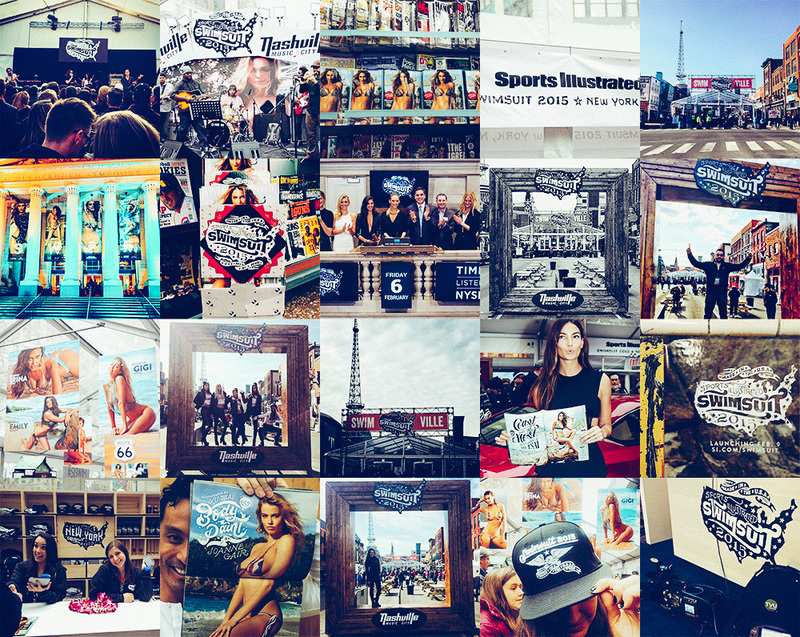 This campaign is Sports Illustrated’s first venture into the world of hands-on, fan-friendly media utilizing a thorough identity support system. 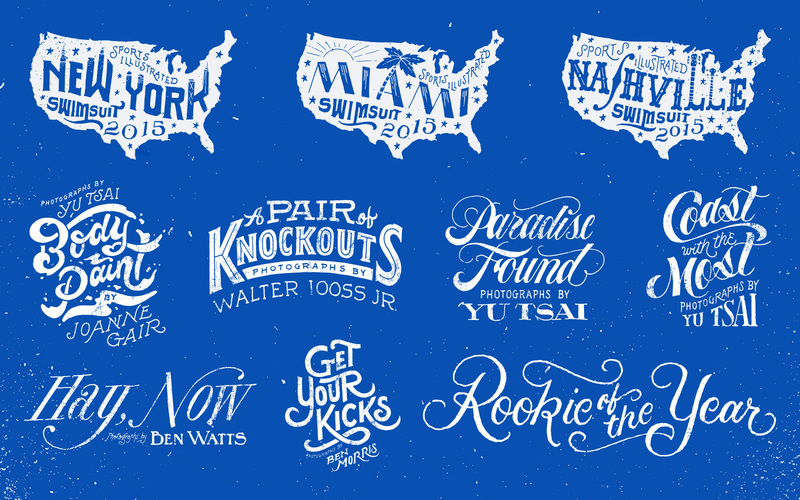 The lettering is decidedly imperfect, the illustrations and photographs are specifically designed to work organically with one another, and the media events put a strong focus on fan interaction with the models and magazine alike, propelling Swimsuit 2015 to becoming the most successful print issue to date.